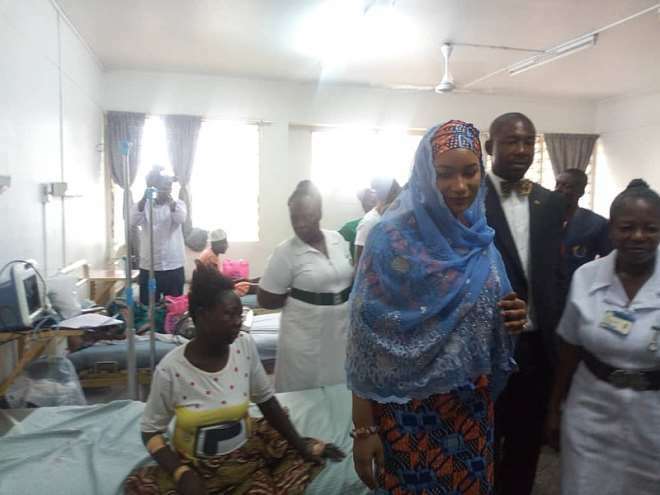 Her Excellency, Mrs. Samira Bawumia, the founder of the Samira Empowerment and Humanitarian Project (SEHP) has visited the Eastern Regional Hospital, Koforidua to interact with pregnant women and nursing mothers. Delivering a speech, after the tour of the antenatal, maternity block of the hospital, Mr. Bawumia commended the administration and ground staff for the excellent care they are providing. She expressed joy for the clean and well-maintained facilities and noted that such an environment was comfortable for service delivery. 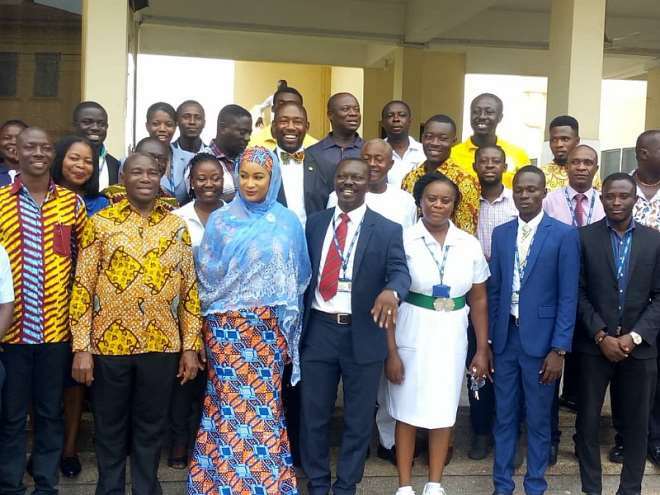 Mr. Samira Bawumia stated that the antenatal outreach under her project was part of a broader programme to support maternal health because the statistics in the country on maternal mortality was not encouraging. The Board Chairman of Korle-Bu Teaching Hospital and Member of Parliament for Ledzokuku Constituency, Dr. Okoe Boye indicated that the SEHP would like to improve the lives of women and children in the country. According to him, parliament has released money for the Eastern Regional Hospital and very soon the region would have an ultramodern hospital to dispense healthcare for healthy and productive people. The Eastern Regional Minister, Hon. Eric Kwakye Darfour, said the Eastern Regional Hospital was noted for standards and added that the hospital now has a unit which produces oxygen because formerly they were buying 330, 000 worth of it. He commended the hospital administration for their innovation, cleanliness, commitment, and dedication to work. Dr. Boamah, the Medical Superintendent of the hospital, expressed appreciation to Mrs. Samira Bawumia and her initiatives especially having a project that cares for mothers and children. He commented that the Eastern Region would witness an ultramodern hospital which would deliver excellent service of its kind. He pointed out a challenge in regards to the mothers’ hostel of the hospital and was grateful that the SEHP has promised to help. The Samira Empowerment and Humanitarian Project donated two ultrasonic Fetoscope to the hospital and provisions to pregnant women as well as nursing mothers.